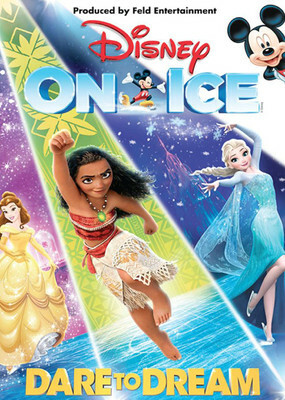 Why See Disney On Ice: Dare To Dream? Disney's Princesses like you've never seen them before! Dare to Dream, a vibrant, contemporary compilation of princesses, features popular songs and unforgettable scenes from two of Disney's newest fairytales and one of the most cherished stories of all time. Audiences will behold an alluring aerialists, shimmering gowns that twinkle and twirl, a captivating lighting display and the delights of the island paradise of Moana! A celebration of 75 years of Disney Princesses, Dare to Dream is wholesome Disney fun with a live adventure element thrown in! Nobody is too young nor too old to witness the magic unfolding on ice, so it's the perfect family outing, for little ones and grandparents alike. There'll even be a cameo of the princess that started it all... (hint, poisoned apples and seven small friends). Sound good to you? 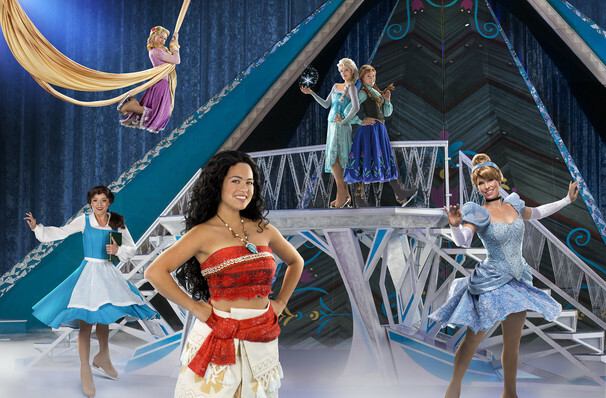 Share this page on social media and let your friends know about Disney On Ice: Dare To Dream at Moda Center. Please note: The term Moda Center and/or Disney On Ice: Dare To Dream as well as all associated graphics, logos, and/or other trademarks, tradenames or copyrights are the property of the Moda Center and/or Disney On Ice: Dare To Dream and are used herein for factual descriptive purposes only. We are in no way associated with or authorized by the Moda Center and/or Disney On Ice: Dare To Dream and neither that entity nor any of its affiliates have licensed or endorsed us to sell tickets, goods and or services in conjunction with their events.